Otamatea Geography students get a overview of the Rural Design nursery. Director Eden Worsfold working with his teaching partner Emma McNeish and the Rodney College PTA to improve the aesthetic environment of the school. Rural Design is passionate about providing employment for the local community. The majority of employees are from the Kaipara District. The employment of local people brings multiple benefits to the community. Workers are able to support their families and use their income on local businesses; workers gain valuable insight into land-use enabling them to educate others in the community with regards to protecting the unique ecology of our region. 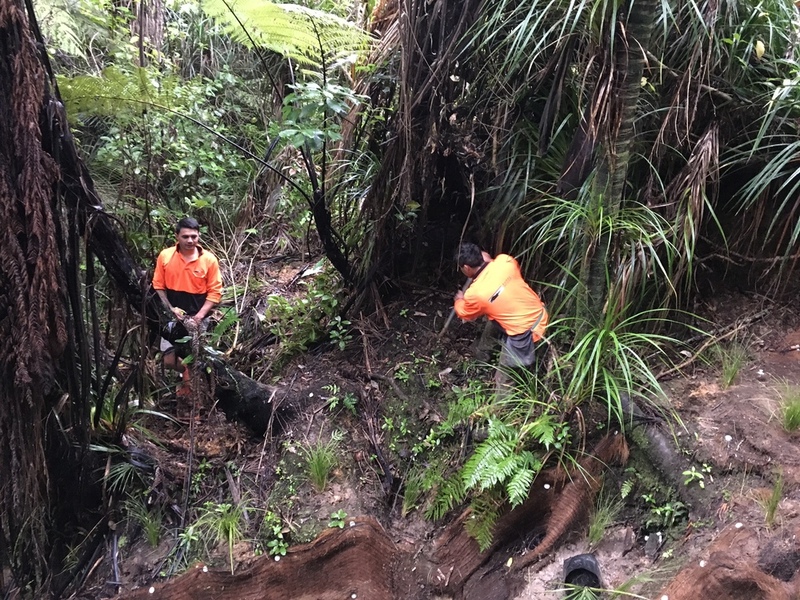 Many of our employees are from the local hapu te uri o hau, which Rural Design sees as important to maintaining Maori ties to the concept of kaitiakitanga. Infill planting for Auckland City Council.